Cynthia Chao, DO, MPH, NCMP offers family planning services as an integral part of her OB/GYN practice. At her Long Beach, California practice, Dr. Chao provides potential parents with the tools and resources they need to sufficiently plan for their future as a family. Make an appointment today if you have any questions about starting a family or general reproductive health. Young couples who are interested in having a family can plan accordingly. Planning ahead takes into consideration any health issues you may have and any hereditary issues that may be passed down from generation to generation. Family planning can also help to address any fertility issues you and your partner may be experiencing. Couples who are actively preparing for a pregnancy can learn how to maintain good reproductive health as well as what dietary and lifestyle changes to make to dramatically improve your chances of conceiving if there has been any type of health issue in the past. What elements are considered in family planning? Family planning considers several different factors including the past medical history of both parents. It includes lifestyle habits, current health, and well-being of the parents, and any health issues that may pose a problem during conception, the pregnancy, or during delivery. During a family planning session, Dr. Chao will discuss your nutritional and physical needs prior to the pregnancy as well as during. Dr. Chao also helps to devise a birthing plan that allows you and your partner to create the perfect environment for welcoming your child into the world. Family planning is also essential for women who may not be ready for children and are exploring their birth control options. What are some of the different types of contraception? 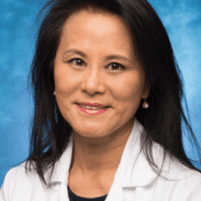 Dr. Chao offers effective short-acting contraceptive methods, such as IUDs (Mirena, Kyleena, Skyla, and Paragard), patches, the depo shot, and daily birth control pills. Dr. Chao also offers permanent sterilization for those who no longer wish to become pregnant. Different birth controls provide different benefits. Some involve an injection every three months while others involve a daily pill or an implanted device. Dr. Chao can discuss your options in detail and help you decide what’s best for you. Are any testing techniques used in the family planning process? In most cases, a woman's wellness exam is the primary test needed to start effective family planning. If you or your partner does not want children, the primary discussion will revolve around contraception and various methods of birth control. If you and your partner want to start a family, a thorough physical exam will be helpful in determining if you should change your diet and lifestyle habits to create a more positive environment for your baby. In cases, when a woman has trouble conceiving, Dr. Chao would need to perform tests to determine the cause of infertility and create an effective treatment plan. Dr. Chao provides well-woman exams, STI screenings, and other services to take care of your reproductive health. For quality family planning services, call Dr. Chao or click to schedule online.